Two weeks ago, a happy-go-lucky troupe of ragtag recording artists (collective net worth: over $2,000,000,000) stood shoulder to shoulder on a stage and asked for your money. 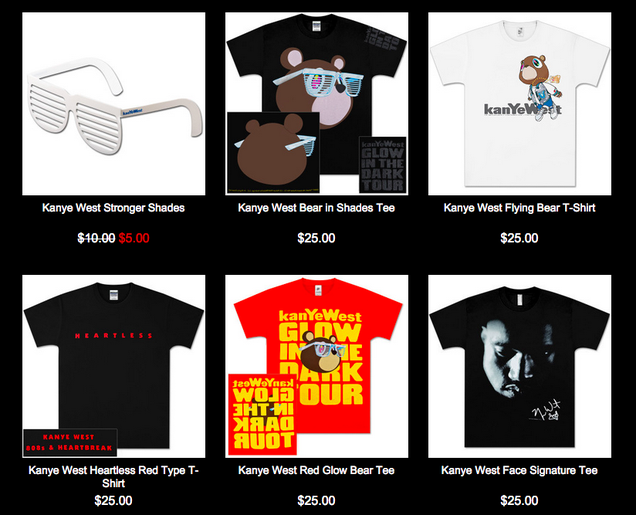 In return they would give you “TIDAL,” a streaming music website and app that costs too much. I gave it a try. You should not. The quick pitch for Tidal’s HiFi subscription is that it costs more than Spotify so that artists can get a bigger slice of the pie. By using Tidal you are “supporting the artists” and “giving back to Madonna.” Paying more for higher quality is the selling point of Tidal—it’s the only point of Tidal. So it had better work! To someone like myself, who cares deeply about his friends, this is profoundly troubling question. Can I believe that they are not listening to their Rihanna tracks on their iPhone earbuds in premium lossless audio? Do I therefore have an ethical obligation to shill for Tidal? If my friend needs help, should I not help him? I decline. This is what shows up next: a list of bands and people who might be among my favorites. Why is Robinson Cano, second baseman for the Seattle Mariners, one of the first faces I see on one of the first screens of Tidal? I didn’t click on Robinson Cano’s face. I hadn’t heard of anyone else except The Mountain Goats and Rihanna, so I picked those two. If I were really being honest with Jay Z and Madonna I would have to admit that I don’t even like The Mountain Goats, but having only one favorite seemed sad. I listened to my favorite song, “Cheers (Drink To That)” by Rihanna. Tidal says its music sounds better than that of Spotify or Rdio because it uses “lossless” file encoding, which means the songs aren’t compressed before being streamed from a remote server to your laptop or phone. On paper, this means that lossless music will sound “like the producers wanted” and give you “the authentic Jack White experience.” On my laptop’s speakers I could not tell the difference between Rihanna belting YEAH-HEE-YA, YEAH-HEE-YA, YEAH-HEE-YA! on Tidal versus Rihanna belting YEAH-HEE-YA, YEAH-HEE-YA, YEAH-HEE-YA! on Rdio. 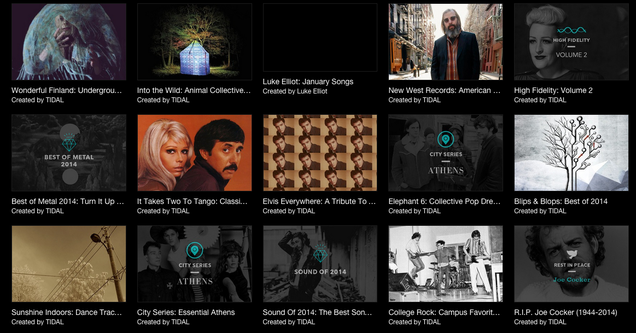 Every time I open Tidal I see this same list of things I’m not interested in instead of something worthwhile, like “new releases,” or songs by Rihanna and my other favorite band, The Mountain Goats, or people who I recognize and am familiar with because of their music and not their lifetime .310 batting averages. Why are album titles and playlist descriptions frequently truncated (“After The Blues: Tribute to Jaso…”)? Why did the volume go down to a whisper on the Tidal iPhone app, causing me to no longer be able to really hear “Cheers (Drink To That)” by Rihanna on my phone? Why do songs on Tidal sometimes just not play at all? What if I were throwing a party and wanted to listen to the “Beyond Bluegrass: A New Wester…” playlist, but the music won’t play, and all of the new friends I’ve made with the promise of true, high-quality sound as it was meant to be heard walk out on me? Why would anyone pay $20 per month to beta test Jay Z’s Super Sweet Celeb Streaming Service when Rdio and Spotify don’t have any of these problems and are cheaper? Tidal costs too much: Even the free trial I received felt like a ripoff. 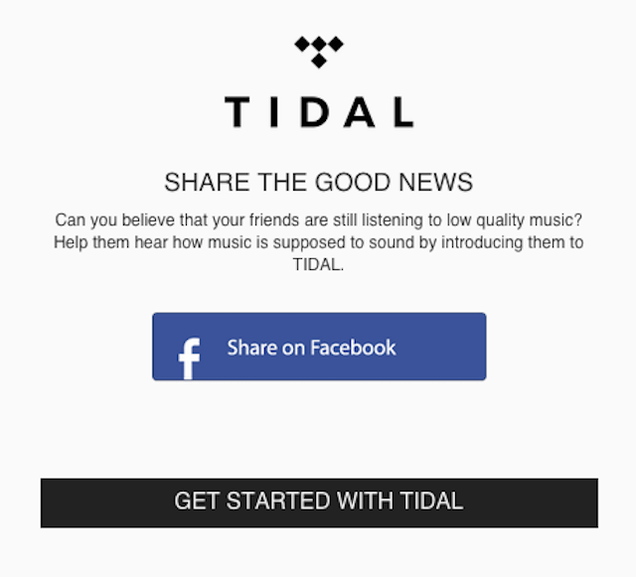 Tidal and Spotify both offer subscription service on two tiers. Spotify’s—”Free” and “Premium”—cost $0 per month and $9.99 per month, respectively. 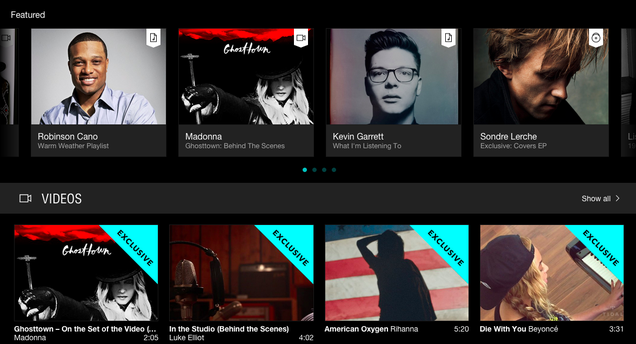 Tidal’s—”Premium” and “HiFi”—run $9.99 per month and $19.99 per month. 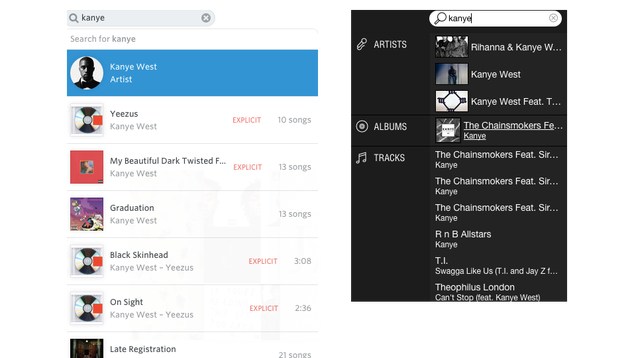 Premium Tidal is basically equivalent to Premium Spotify, in that it offers “standard” sound quality, and no ads. There is no free version of Tidal.